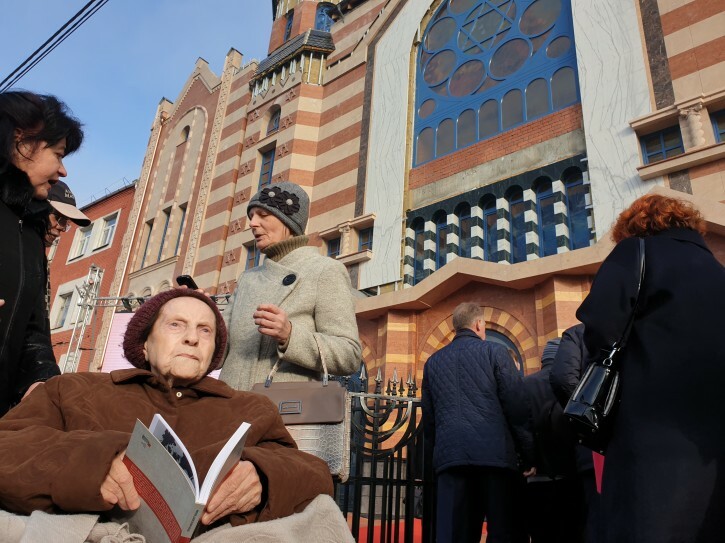 Kaliningrad, Russia - Walking to school and back, Michael Wieck twice a day would pass by one of Europe’s largest and most spectacular Jewish places of worship: Koenigsberg’s New Synagogue. There used to be three synagogues in Koenigsberg, a former capital of the now defunct German state of Prussia. Sandwiched between Poland and Lithuania, the Prussian enclave had a German-speaking population and Jewish community that was very different from the Yiddish-speaking ones living around it in impoverished Jewish towns, or shtetls. “They wouldn’t allow me to go to school that day and told me that the synagogue—and that meant our school, too—had been burned down,” he said. The restoration cost millions of dollars, largely provided by a local philanthropist, Vladimir (Dan) Katsman, who head s food conglomerate. It required a massive engineering and restoration operation that included the casting, transportation and complex installation of a 23-ton metal dome earlier this year. But the new building is more than a monument, Boroda said. One of the few Soviet cities where Jews were admitted without problem into university, Kaliningrad became a Jewish hub with more than 3,000 Jews living there today—approximately the same number as in Lithuania and Poland combined, Boroda said. 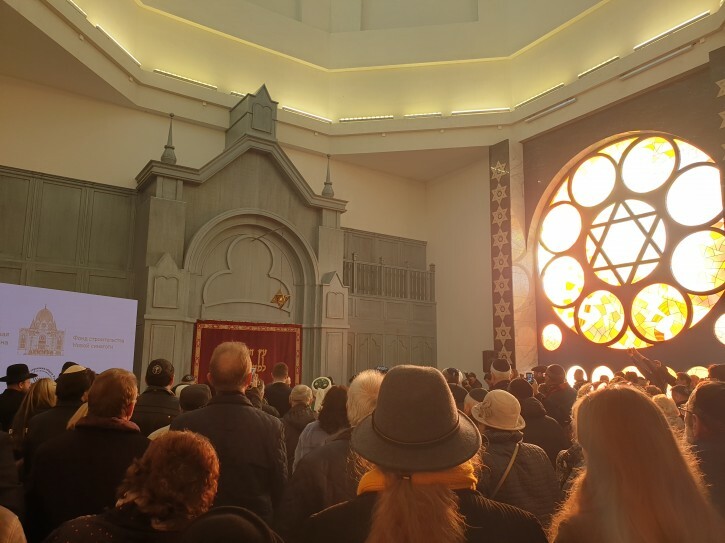 Services and activities are being held now at a temporary building, making the New Synagogue the first such institution to open in the city in decades. Under him, the state gave millions of dollars in funding to Jewish institutions. And regional leaders returned – mostly to Chabad-run outfits—dozens of assets seized from Jewish ownership under communism, including the land for the Koenigsberg synagogue. And a growing number of Russian Jews are leaving—especially from the large cities of Moscow and St. Petersburg, where most of Russia’s 250,000 Jews live.